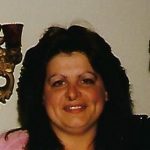 Yorktown, Va.- Keely Rai Windham, 59, passed away on Saturday, January 26, 2019. Keely was a native of Spiceland, Indiana and peninsula resident since 1964. She graduated from York High School in 1978. Keely was a devoted and loving wife, daughter, and aunt. She enjoyed playing games and fishing and enjoyed spending time with family and friends and she really enjoy her cats. She was preceded in death by a son, Seth Windham a sister Erin Clark and a niece Reagan Pardue. Keely is survived by her loving husband of 30 years Robert Windham and her mother, Judith Croswell and her husband Leslie and her father Bruce Clark and his wife Faith. She is also survived by her nieces Alyssa and Katelyn Elliott a sister-in-law Nancy Pittock and a brother-in-law James Windham. A memorial service will be held at 5:00 PM on Saturday, February 2, 2019 in Amory Funeral Home Chapel. The family will receive friends following the service.